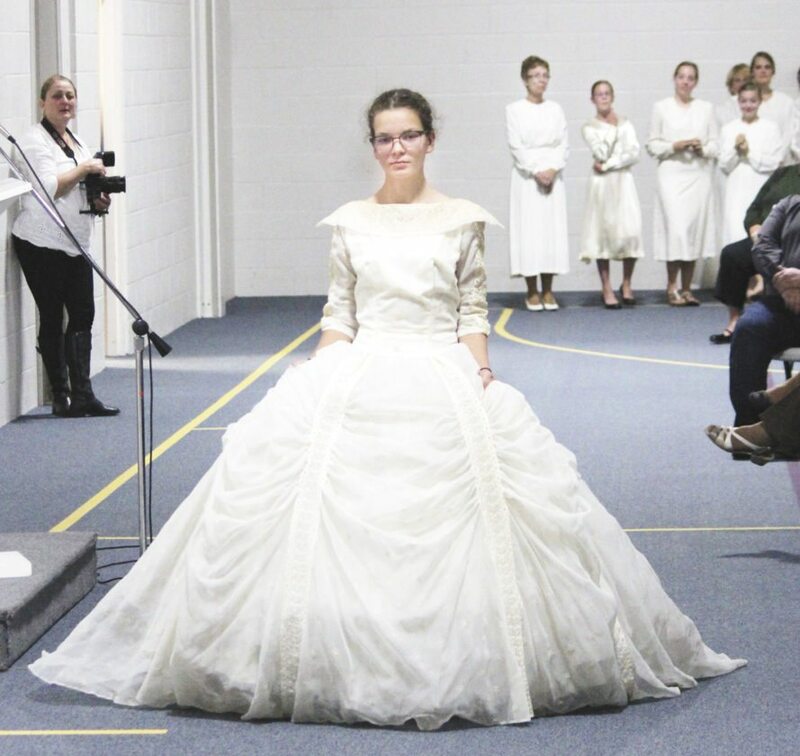 BELLEVILLE — From unusual attire to unlikely venues, modern-day weddings have become as unique as the individuals who plan them. But trend-setting brides aren’t new to Big Valley. In the early 20th century, the traditional color for wedding dresses in Amish-Mennonite churches was blue. 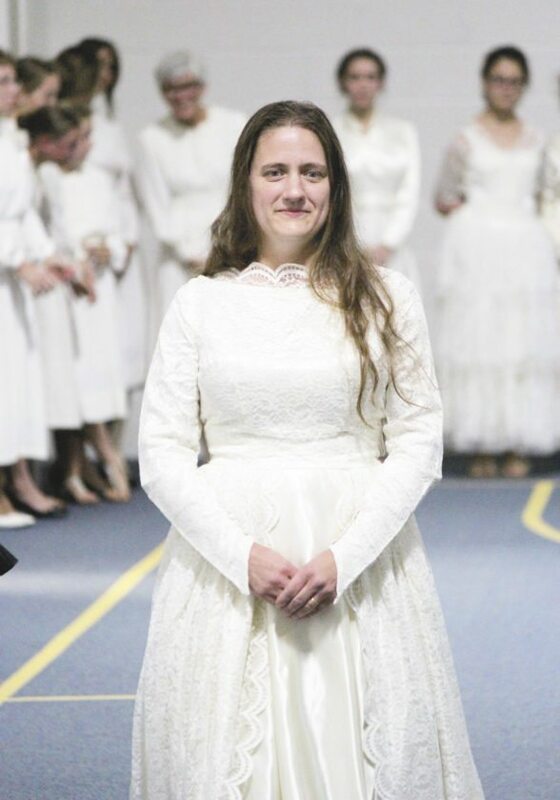 Several brides from Allensville, Maple Grove and Locust Grove Mennonite churches were some of the first who donned white. 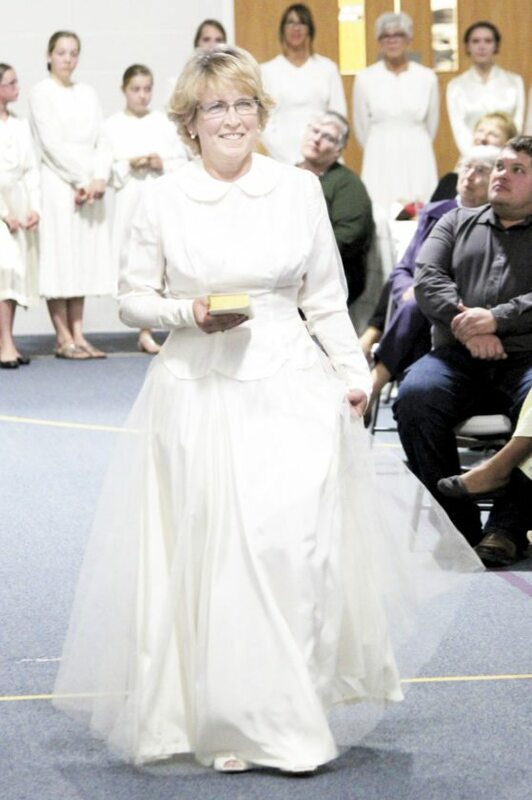 Starla Fogleman narrated a fashion show of historical wedding dresses, on Saturday, at Locust Grove Mennonite Church. 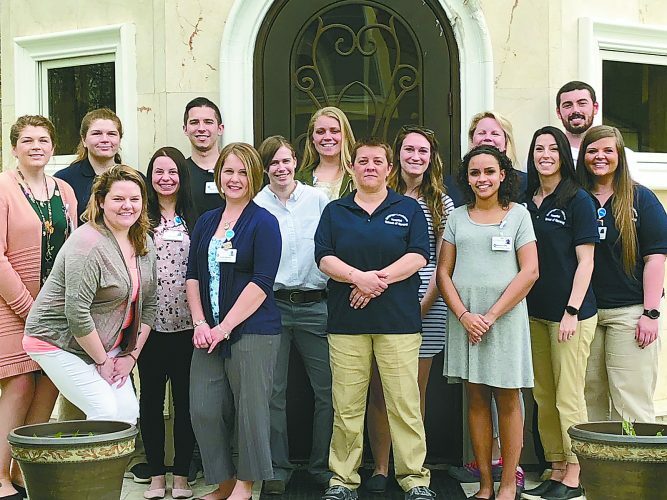 The event was part of a fundraiser benefiting the Mennonite Historical Society in Belleville. 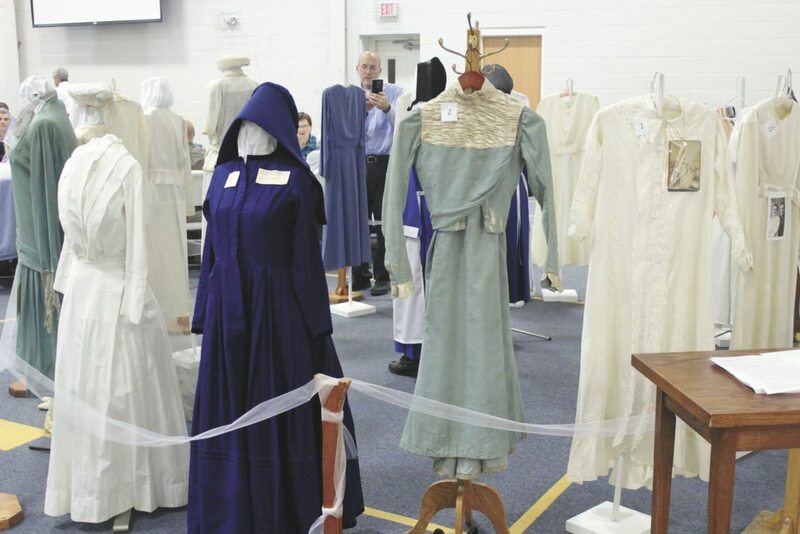 Twenty-nine ladies modeled dresses worn more than 50 years ago by Mennonite brides. 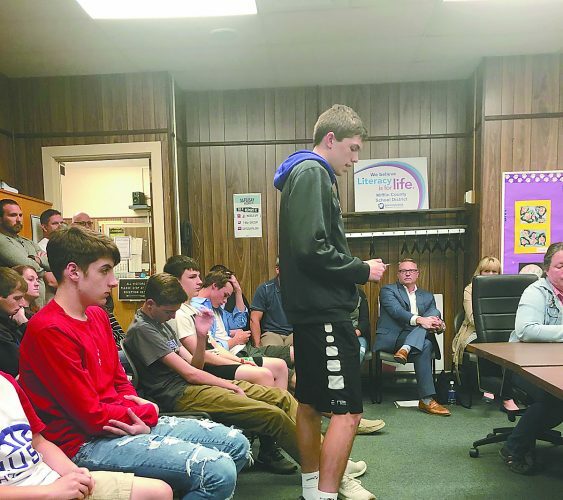 As they circled the room, Fogleman told the audience about the woman who originally wore the dress, when she was married and to whom. Pictures from the weddings were projected onto the wall for guests to view. Some of the dresses were modeled by family of the bride. Brianna Hartzler wore her great-grandmother, Bertha Byler’s, gown. Byler was married to Glenn Peachey on Feb. 21, 1948 at Locust Grove. 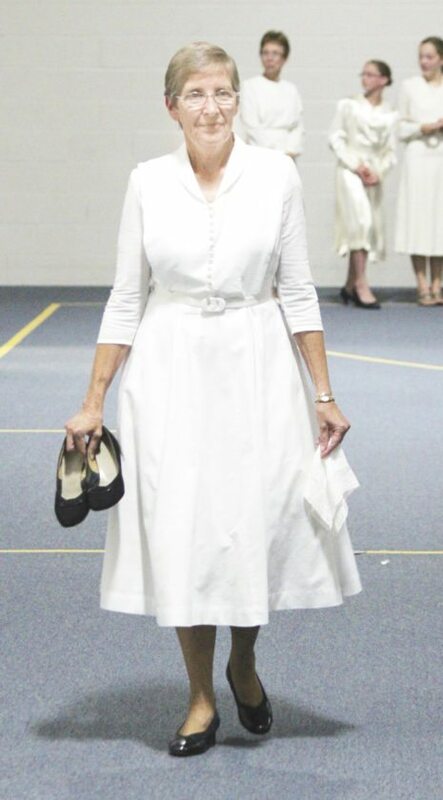 Brenda Mathews wore her mother, Cora Byler’s, gown. 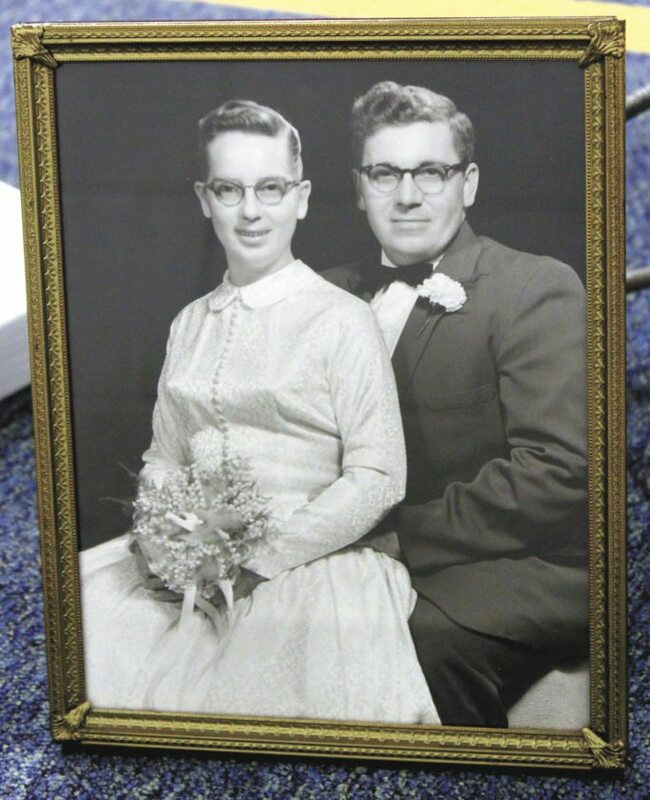 Byler was married to John Byler on Jan. 11, 1951 at Allensville. One bride wore her own dress. 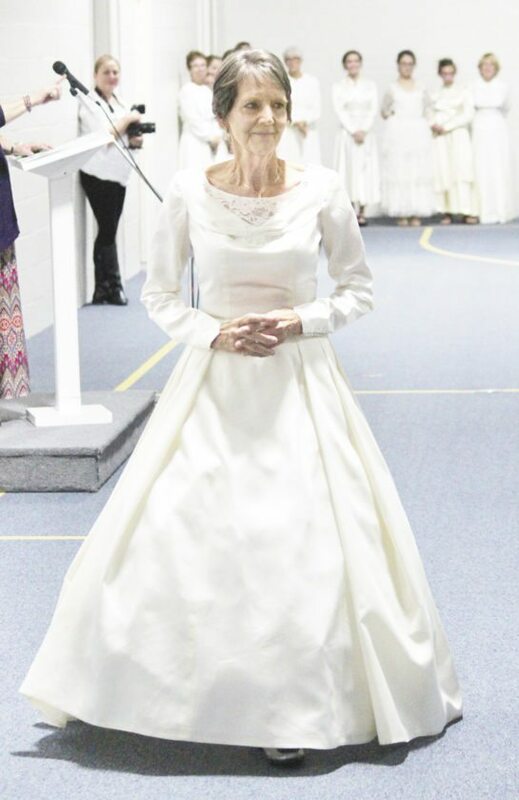 Rhoda Peachey, who married her husband, John, on Oct. 6, 1962, in Allensville, donned her original wedding gown for all to see. Each dress modeled had its own special touch. Some were made by the bride herself, others by family or friends. All kinds of fabric was used in sewing the gowns; linen, taffeta, satin, lace, crepe. Many of the brides originally carried a small Bible, flowers or a handkerchief with them. Some of those items were included in the fashion show Saturday evening. Guests also had the opportunity to view 21 other historical dresses, worn by brides married between 1890 and 1958. Pictures of the brides and grooms, marriage licenses and other items were part of the display. The event also included an Amish wedding meal. Proceeds from ticket sales benefit the historical society.